If you happen to be visiting the Universal Orlando’s Islands of Adventure in Summer 2016, you can take a trip to Skull Island. And the 1930s. 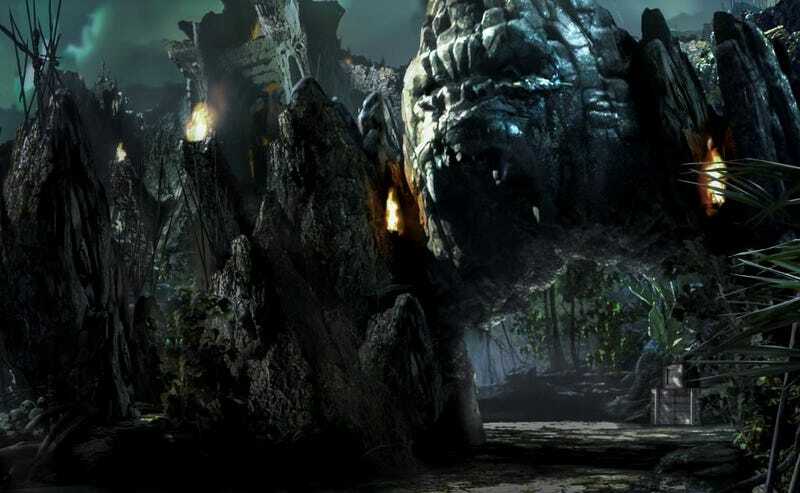 It very much sounds like Skull Island: Reign of Kong is a ride taking inspiration from Peter Jackson’s take on the giant gorilla story and will have less to do with Kong: Skull Island, which is due out in 2017. Since the ride takes place in 1930s, which is when Jackson’s film was also set. Whereas comments from J.K. Simmons seemed to hint that the next Kong movie will take place in 1971 Detroit. Guess we’ll have to wait for a ride with an interactive Simmons, Michael Keaton, and Michael Fassbender, all of whom will star in the origin story. Dinosaurs and King Kong, fine. But count me out for the spiders.